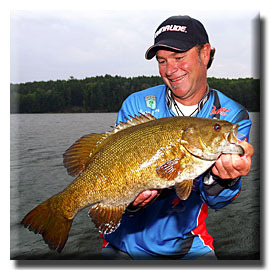 Advantage: Angler "Giving anglers the advantage through knowledge." Welcome to Advantage: Angler. For those who have visited our site in the past, we welcome you back. To any new viewers who do not know about Advantage: Angler and enjoy the sport of freshwater fishing, we promise this will be a location you will visit often. Our staff is comprised of touring professional anglers with one common goal: "To advance the sport of fishing among all anglers of all ages and skill levels through education." From all of us to you, Continued Success. Advantage: Angler's youtube channel features fishing shorts as well as full-length episodes... we've even snuck in a few bloopers. Lately, founder, Jeff Koser has been lucky to be invited on some great day trips for Salmon, Browns, and Lakers. Check out the high-energy video shorts of these trips. 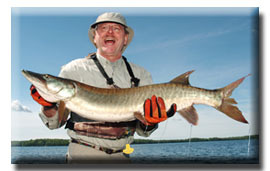 Kemos Captures NWT Angler of the Year!!! After falling short in the past, and the nightmares of lost fish still haunting him, Tommy Kemos did not let a 19 point deficit going into the last day of the NWT squelch his fire! Get the story here! 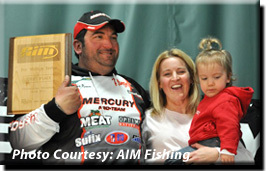 Advantage: Angler Co-Founder, Tommy Kemos came from sixth place with the largest catch of the tournament to win the AIM Pro-Qualifier event held out of Winneconne, Wisconsin on April 22nd. click here for the complete story. 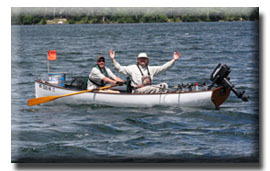 Advantage: Angler Founder, Jeff Koser and partner Mark Zahn win the 7th annual Bob Ellis Memorial Row-Trolling Muskie Tournament in Presque Isle. 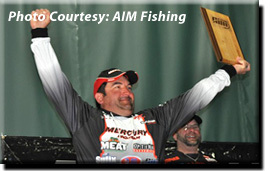 The winning fish took a Depth Raider pulled on lead-core over 65 feet of water. Congratulations guys!